One of the UK’s Leading Suppliers of Digital Labels! 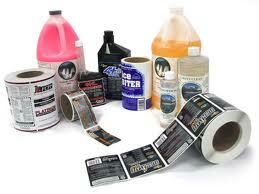 Lotus Labels are at the forefront of Digital Label printing. Investing into the digital label press market has allowed us to offer exceptionally high quality digital labels with a very fast turn around and the ability to save money on the high costs involved with time and materials. The latest technology provides exceptional high quality (1200 DPI Image) with crisp registration, smooth tones and an extended colour gamma to ensure that your labels are produced in a vibrant and strong four colour process. In addition to our unbeatable production quality and great prices for food & drink labels – we also produce a vast number of alternative label products.